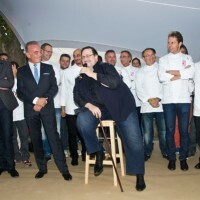 The 9th Etoiles de Mougins gathered 120 starred chefs who came from all over the world to share their art and passion with an audience of gourmets. 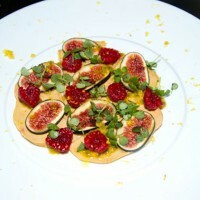 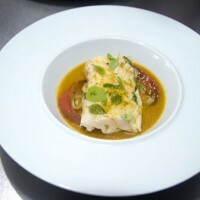 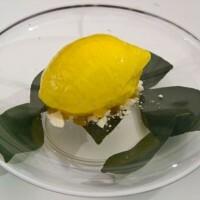 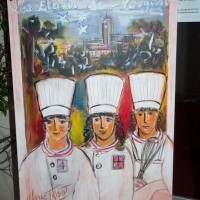 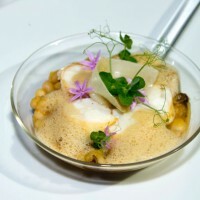 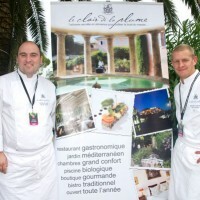 Over the years, the Etoiles de Mougins has emerged as a benchmark for world gastronomy. 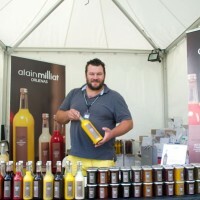 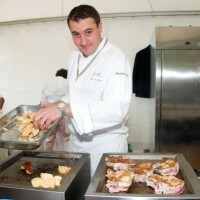 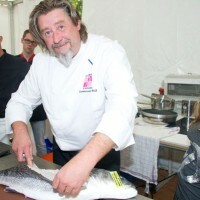 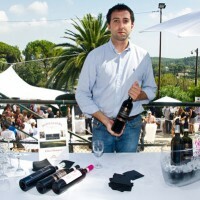 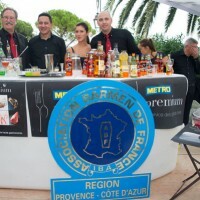 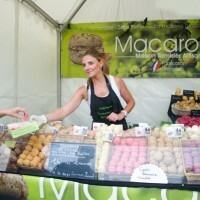 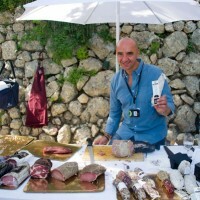 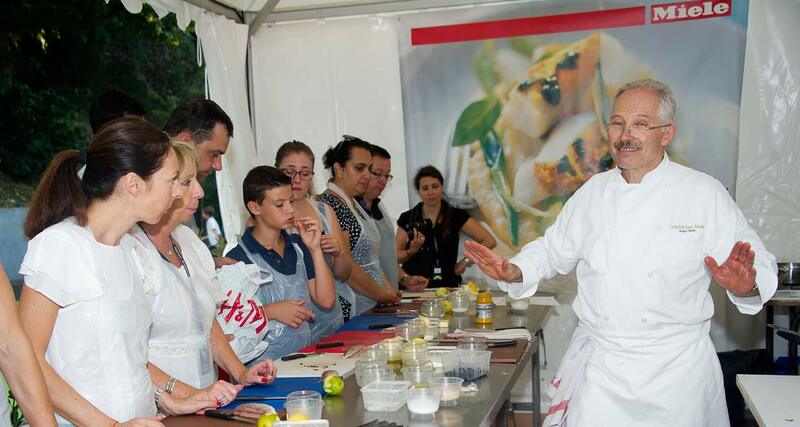 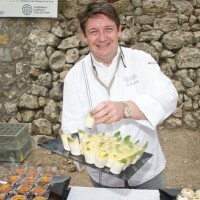 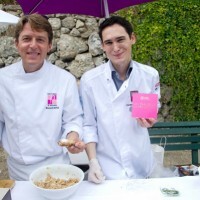 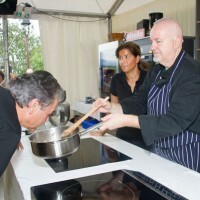 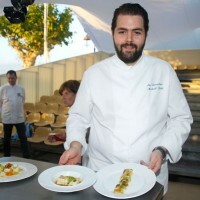 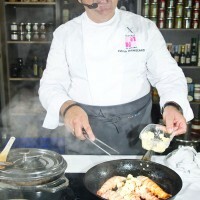 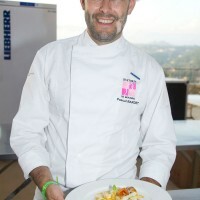 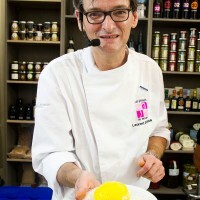 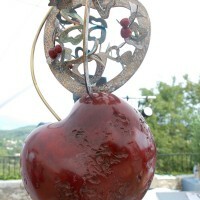 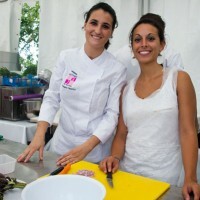 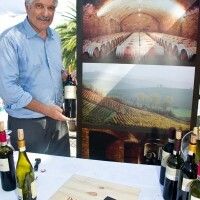 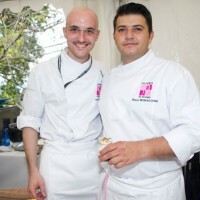 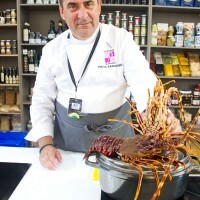 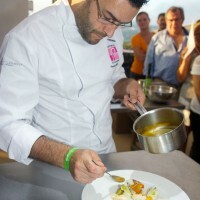 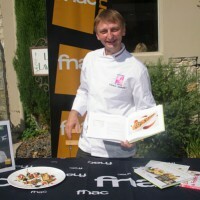 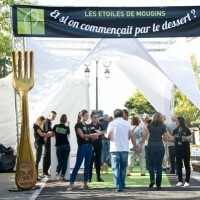 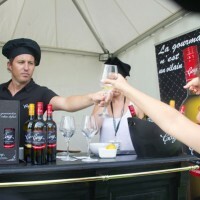 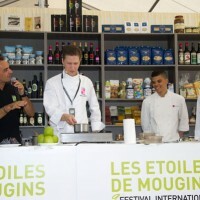 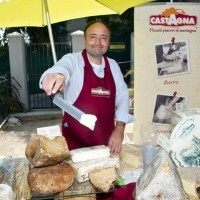 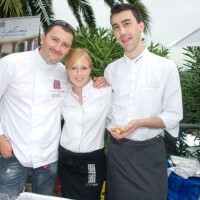 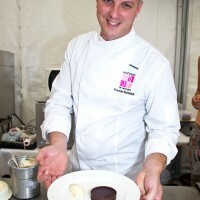 For three days, from 19 to 21 September 2014, the International Festival of Gastronomy has turned the old village of Mougins into a large open air kitchen-theater. 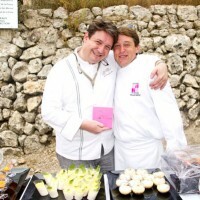 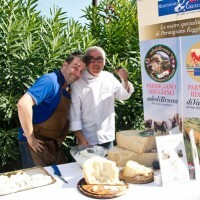 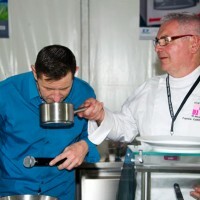 The greatest chefs in the world have come to share with 50,000 visitors the love a profession and a common passion. 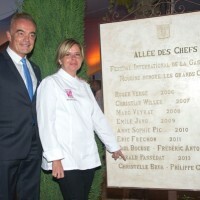 With this year’s theme What if we started with the dessert?, it was natural that the Festival welcomes as sponsors Philippe Conticini (La Pâtisserie des Rêves, Paris) and Christelle Brua (Le Pré Catelan, Paris), named Best Pastry Chef of the Year by Gault Millau. 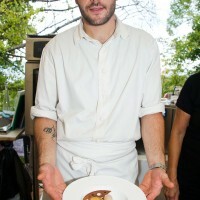 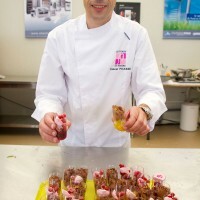 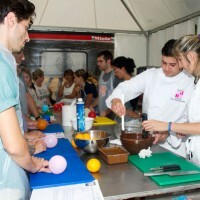 While devouring with the eyes the dishes prepared by chefs in demonstrations at Espace La Cambuse, the public could also work hands-on, guided by a recipe card delivered upon enrollment in the various culinary workshops. 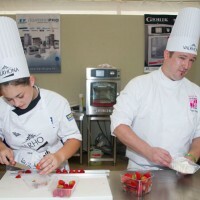 Wearing an apron and armed with a pen to write down the chef’s good tips and “tour de main”, they could become the perfect apprentice chef. 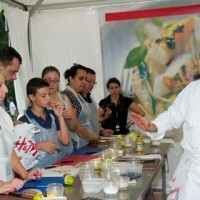 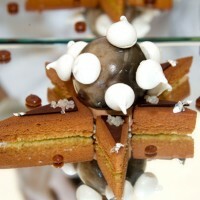 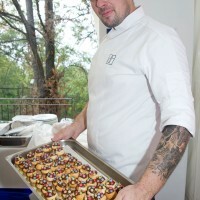 Children also participated in this gastronomic feast in the workshops dedicated to them, like that of chocolate mousse. 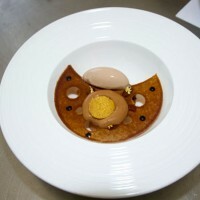 The workshop enabled them to become for real “tout chocolat” by brushing their faces with this delicious dessert so much loved by children and adults. 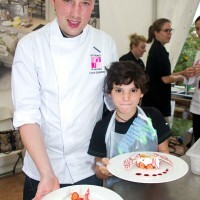 The Smarties workshop appealed to their talents of aspiring artists to decorate the best sponge cake they had prepared after the instructions for their elaboration given by a team of chefs. 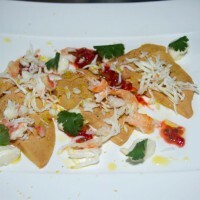 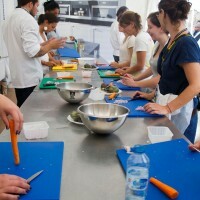 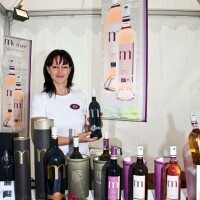 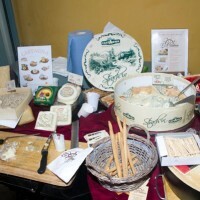 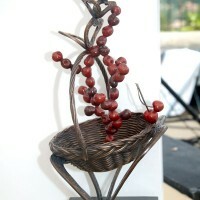 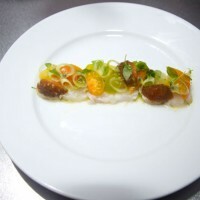 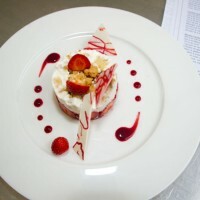 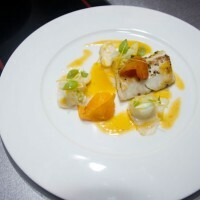 The visitors have been spoiled for choice as the program was offering so many opportunities of discovery in gastronomy. 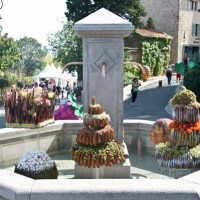 Of course, the sweet was put forward to honor the theme of this sixth edition. 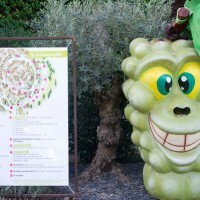 Little ones and grownups were tempted, and, after consulting the program, their awakened taste buds naturally guided them to the demonstration areas. 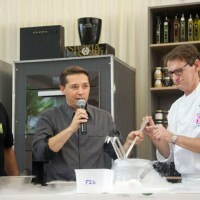 The public had the opportunity to taste at the end of the demonstration the delicious dishes or sweet desserts realized by the chefs, teachers for a day. 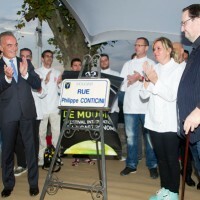 The highlight of the inauguration was the traditional unveiling by the mayor of Mougins, Richard Galy, of the plaque at the entrance to the old village where the names of the Festival godfathers are shining. 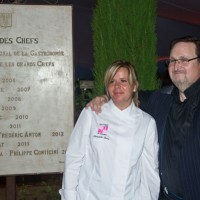 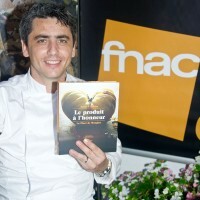 Philippe Conticini and Christelle Brua could discover with emotion their names engraved after those of the preceding prestigious chefs. 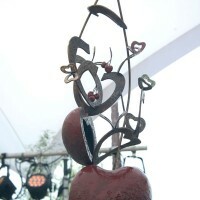 Please share your feeling in the above comment form. 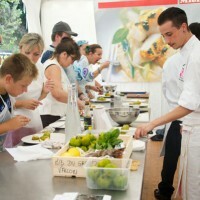 It looks a fantastic event.